Another 39 wins & 82 nominations. As i am writing this review (February of 2011), i have been watching all the episodes of the MTM show nonstop actually for some time now although i m just midway through season 5. I live in Greece and although we do love our US TV shows here too, Mary Tyler Moore was not exactly our icon through the 70's especially if you consider all the problems my country was going through at least up to 1974. I m 31 now (born in 79), and i ve known of MTM for quite some time and was always aware of the show and had heard from a lot of American friends and the web of course that the specific show was somewhat of a TV legend or a "sacred cow" especially for the people who watched it while it was on the air, and you know what?? I couldn't agree with them more! I LOVE THIS SHOW! i cannot find one thing that i don't like no matter how hard i try. i ve been laughing or at least smiling nonstop for 5 seasons now something that has happened (to me at least) only with a couple of shows p.e. Friends, Will and Grace. The feel of it, the look, the theme song, the opening credits, the characters, the actors (OMG! ), and of course the writing. Quick, sharp, very very funny and with some subtext in a lot of cases considering the era! One thought that has occurred to me is that Mary Tyler Moore is the least egocentric actress in her or any other lifetime. I ve never seen an actress as famous as her, with her own show by the way, that didn't at some point sooner or later become obnoxious or cocky or have the writing serve her look or status. (God bless her but Lucille Ball take a bow!) Concluding i would like to say that it is incredible for a show to stand the merciless test of time (40 years! ), and in 2011 i m proud to say that i d watch reruns of the MTM show any day than spend time watching some trash reality show about putting your hand in a box of cockroaches with order to win money. and you know what? i might just make it after all ! Broadcast News was James L Brooks' second feature film; the follow up to his multiple Oscar winner "Terms of Endearment", and very much a remake and a rethink of his 1970s TV show "The Mary Tyler Moore Show"; with the William Hurt character Tom Grunick very much a bubble-headed update of the equally vacuous Ted Baxter anchorman character from that show; the Albert Brooks character an update of the petulant smart-alek Murray Slaughter character from that show; and the Jane Craig character a hybrid of the Lou Grant and Mary Richards characters. In Broadcast News Jane has a relationship and a crush on the bubble-headed anchorman character; and in the original concept of the show Mary was supposed to have a relationship with the shallow anchorman Ted also. In Broadcast News Albert Brooks's sarcastic, under-acheiver Aaron Altman character has an unrequited crush on Jane Craig; with whom he has a friendship; and on the Mary Tylre Moore Show Murray similarly is friends with Mary and has an unrequited crush on her also. Ted Baxter: Folks, I've just received a special news bulletin: "You have something on your front tooth." Throughout the series there are several continuity errors involving the clocks mounted on the wall behind Mary and Murray's desks. However, looking closely, you can see that they are not even running, as the second hands remain stationary. 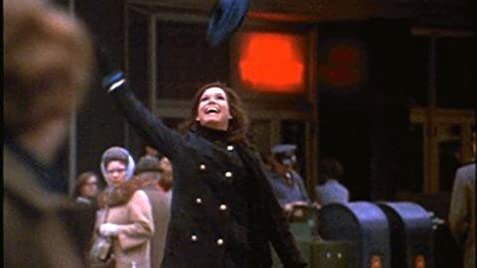 Throughout Season 5, scenes of Mary and Rhoda walking down the street can be seen in the opening credits for a few episodes despite Rhoda having moved to New York.